--Hollywood stars Nicole Kidman, Jack Black and Jennifer Jason Leigh moved in together during filming for new movie Margot At The Wedding, because they wanted to perfect their roles as a dysfunctional family. The three actors lived in a house in the Hamptons area of New York while working on the Noah Baumbach-directed drama earlier this year, and Kidman has fond memories of their time together. She says, "We all lived in this house in the Hamptons. Jennifer would cook breakfast on Sunday, and we'd all go to work Monday to Friday, and hang out on the weekend. Jack (Black) would play guitar. (And) we'd lie around in the bed, rehearsing. You don't make films like that right now - it's more a seventies way of making films." --Brad Pitt and his partner Angelina Jolie are ready for another child, the actor said Sunday as he was promoting his new film. Pitt and Jolie, with children in tow, were in Venice to talk about his film on Western outlaw Jesse James. The movie is competing for the top Golden Lion award at the city's film festival. Pitt and Jolie already have four children including a 15-month-old girl, Shiloh, born to the couple. Jolie has also adopted three children close in age from Cambodia, Ethiopia and Vietnam. Asked by Italian state TV whether they were ready for a fifth, Pitt replied: "Yeah we're ready." 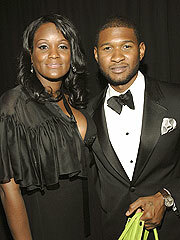 --After a quiet civil ceremony, Usher and Tameka Foster at last pulled off their dream wedding in Atlanta on Saturday. "I'm thrilled that this is finally happening," said one guest, who watched the couple exchange vows in front of about 200 people at the luxurious Chateau Elan Winery & Resort, a 16th-century-style French chateau set on 3,500 acres of rolling hills outside Atlanta. "It was a long time coming, and I can't think of any two people who deserve happiness more than they do." Among the guests were Oprah Winfrey's pal Gayle King and music manager Benny Medina. --She played Roller Girl in "Boogie Nights," and now Heather Graham is playing a rocker girl in her upcoming movie, "Broken" - and she's rocking out in a music video for the indie release's title track. Graham, who plays a character named Hope, laid down her own vocals for "The Hanging Tree," which premieres Oct. 2, and even used the guitar skills she learned for the picture to shoot the video. --Jeffrey Carter Albrecht, a keyboard player for the band Edie Brickell & New Bohemians, was shot to death early Monday while trying to kick in the door of his girlfriend's neighbor, police said. The neighbor, who was not immediately identified, was asleep in bed when he woke up around 4 a.m. to his wife screaming that someone was breaking into the house, according to a police report. The neighbor yelled through the door for Albrecht to leave and then fired his handgun through the door. Albrecht was shot in the head and died at the scene, police said. The neighbor believed a burglar was trying to break in and fired a shot through the door around 4 a.m., Dallas police spokesman Sgt. Gil Cerda said. The case is under investigation and no arrests have been made. News reports cited police saying Albrecht beat up his girlfriend and then tried to kick down the neighbor's door in a drunken rage. The couple had no history of domestic violence, but the girlfriend had bruises on her face, police said. She did not suffer serious injury. Albrecht apparently struck his girlfriend in the face several times and hit her in the back once she fell. She later managed to lock him out of the house, according to the reports. (If true, good riddance). --Led Zeppelin set to reform? --No wonder CNN gets its clock cleaned by Fox News. Two weeks ago, Anderson Cooper shot a pretaped Hurricane Katrina special in New Orleans, but somehow the tapes got lost. According to a spy, "Anderson was on vacation in Europe last week when he got a call saying he had to fly back to the States and reshoot the entire special in New Orleans. The screw-up cost tens of thousands of dollars, and he was not happy. It was unbelievable." A rep for CNN said, "Yes, footage was lost, but he always had plans to be in New Orleans if needed . . . It was a great show." 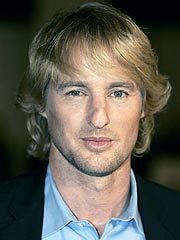 --Less than a week after his suicide attempt, Owen Wilson is back at home � and being watched around the clock. "Owen is in bad mental shape but said he is thankful to be alive," says a source close to the actor, who had returned to his Santa Monica home on Saturday. "He knows he came close to ending his life, and he is happy that he was saved from himself. He is basically at home with people watching him 24/7." --White was the dress code at a star-saturated party thrown by Sean "Diddy" Combs at his Long Island home, and the dress code was strictly enforced. The hip-hop mogul's annual White Party, which he has held in St. Tropez in recent years, featured a white carpet to go along with the white dress code. "This party is up there with the top three that I've thrown," Combs said. "It's a party that has legendary status. It's hard to throw a party that lives up to its legend." Mariah Carey, Busta Rhymes, Donna Karan, Ashley Olsen, Star Jones and Tommy Lee were among the guests. But those who failed to abide by the dress code found themselves told to change, including the wife of Billy Joel, Katie Lee. She had gone to the party dressed in a shade of cream, but that did not win over Combs' fashion police. Turned away, she opted to go home. Combs wore white sneakers with silver detailing, a white shirt and pants and a gold medallion. --Brad Pitt as you've never seen him - shaken up as a frenzied female fan makes a lustful lunge for the usually cool-as-ice star at the Venice Film Festival in Italy. "It was a scary moment," one witness said of the instant Pitt fall into the arms of the woman, who beamed (inset) even as the actor's security goons yanked her off him. "[Pitt's] security team must have been embarrassed that she was able to get that close to him," the onlooker told The Daily Mail of London. "She could have been anyone. Brad didn't look happy about it at all." Click here to watch the video. Which one is more childish? 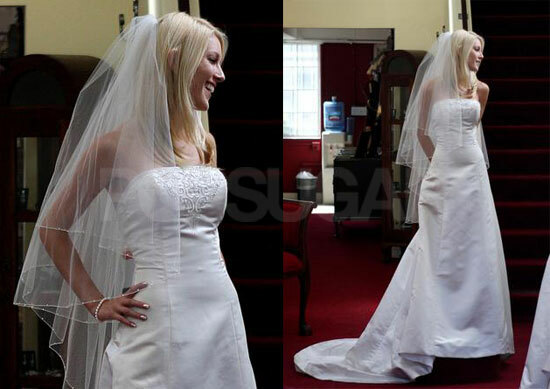 -Are there no legs to the rumor I heard in the car the other day about Britney being engaged? I'm really loving the theme/design of your web site. Do you ever run into any internet browser compatibility problems? A number of my blog audience have complained about my site not operating correctly in Explorer but looks great in Firefox. Do you have any ideas to help fix this issue? Hey I am so glad I found your webpage, I really found you by accident, while I was browsing on Google for something else, Anyhow I am here now and would just like to say thanks for a remarkable post and a all round thrilling blog (I also love the theme/design), I donít have time to go through it all at the moment but I have bookmarked it and also added in your RSS feeds, so when I have time I will be back to read much more, Please do keep up the great job. Hi there! Quick question that's completely off topic. Do you know how to make your site mobile friendly? My website looks weird when browsing from my apple iphone. I'm trying to find a theme or plugin that might be able to fix this issue. If you have any suggestions, please share. Cheers! Thanks on your marvelous posting! I really enjoyed reading it, you're a great author.I will ensure that I bookmark your blog and will often come back down the road. I want to encourage you continue your great job, have a nice morning! Do you mind if I quote a couple of your posts as long as I provide credit and sources back to your website? My blog site is in the exact same area of interest as yours and my visitors would truly benefit from some of the information you present here. Please let me know if this ok with you. Appreciate it! Howdy! I know this is kinda off topic but I was wondering which blog platform are you using for this website? I'm getting fed up of Wordpress because I've had problems with hackers and I'm looking at options for another platform. I would be great if you could point me in the direction of a good platform. Please let me know if you're looking for a writer for your blog. You have some really great articles and I feel I would be a good asset. If you ever want to take some of the load off, I'd absolutely love to write some material for your blog in exchange for a link back to mine. Please shoot me an e-mail if interested. Cheers! Greetings from Colorado! I'm bored to death at work so I decided to check out your site on my iphone during lunch break. I really like the info you provide here and can't wait to take a look when I get home. I'm surprised at how quick your blog loaded on my mobile .. I'm not even using WIFI, just 3G .. Anyways, wonderful blog! Hi, i read your blog from time to time and i own a similar one and i was just curious if you get a lot of spam comments? If so how do you reduce it, any plugin or anything you can advise? I get so much lately it's driving me insane so any support is very much appreciated. Good day! This post couldn't be written any better! Reading through this post reminds me of my good old room mate! He always kept chatting about this. I will forward this write-up to him. Pretty sure he will have a good read. Thanks for sharing! I am curious to find out what blog system you happen to be working with? I'm experiencing some minor security issues with my latest site and I'd like to find something more safe. Do you have any suggestions? Do you mind if I quote a few of your articles as long as I provide credit and sources back to your blog? My blog is in the exact same area of interest as yours and my users would really benefit from some of the information you present here. Please let me know if this alright with you. Appreciate it! I am really enjoying the theme/design of your web site. Do you ever run into any web browser compatibility issues? A small number of my blog visitors have complained about my website not working correctly in Explorer but looks great in Firefox. Do you have any recommendations to help fix this issue? Good day! Do you use Twitter? I'd like to follow you if that would be ok. I'm absolutely enjoying your blog and look forward to new updates. Hi fantastic blog! Does running a blog like this take a lot of work? I have very little expertise in computer programming but I was hoping to start my own blog soon. Anyway, if you have any suggestions or tips for new blog owners please share. I know this is off subject nevertheless I just wanted to ask. Thanks! Hey there! I know this is kinda off topic nevertheless I'd figured I'd ask. Would you be interested in exchanging links or maybe guest authoring a blog article or vice-versa? My site covers a lot of the same subjects as yours and I believe we could greatly benefit from each other. If you might be interested feel free to shoot me an email. I look forward to hearing from you! Terrific blog by the way! Greetings! I know this is kinda off topic but I was wondering which blog platform are you using for this site? I'm getting fed up of Wordpress because I've had issues with hackers and I'm looking at alternatives for another platform. I would be awesome if you could point me in the direction of a good platform. Do you have a spam issue on this blog; I also am a blogger, and I was curious about your situation; many of us have created some nice methods and we are looking to exchange methods with others, please shoot me an email if interested. Hello! Someone in my Facebook group shared this site with us so I came to check it out. I'm definitely loving the information. I'm bookmarking and will be tweeting this to my followers! Wonderful blog and fantastic design and style. Does your site have a contact page? I'm having a tough time locating it but, I'd like to shoot you an e-mail. I've got some creative ideas for your blog you might be interested in hearing. Either way, great website and I look forward to seeing it expand over time. Howdy! I know this is sort of off-topic but I needed to ask. Does running a well-established website like yours require a lot of work? I'm brand new to running a blog however I do write in my diary daily. I'd like to start a blog so I will be able to share my personal experience and feelings online. Please let me know if you have any recommendations or tips for new aspiring blog owners. Thankyou! Wow that was strange. I just wrote an incredibly long comment but after I clicked submit my comment didn't show up. Grrrr... well I'm not writing all that over again. Anyhow, just wanted to say great blog! Hello I'm itching to know if I may use this post on one of my pages if I link back to you? Thanks. Hello There. I found your page using msn. This is a really well written post. I will be sure to bookmark it and return to read more of your useful info. Thanks for the post. I'll certainly return. I think among your ads triggered my browser to resize, you might want to place that in your blacklist. This can be a terrific internet web site, would you be thinking about accomplishing an interview about how you developed it? If so e-mail me! I adore reading your weblog. Ia€™ve you bookmarked your internet site to be able to check out the latest stuff. Thank you for making my individual students have access to your web site post. Currently it looks like Drupal is the best blogging platform out there right now. (from what I've read) Is that what you're using on your blog?|Outstanding post however I was wondering if you could write a litte more on this subject? I'd be very thankful if you could elaborate a little bit further. Bless you!|Good day! I know this is kind of off topic but I was wondering if you knew where I could find a captcha plugin for my comment form? I'm using the same blog platform as yours and I'm having trouble finding one? Thanks a lot!|When I initially commented I clicked the "Notify me when new comments are added" checkbox and now each time a comment is added I get four e-mails with the same comment. Is there any way you can remove me from that service? Bless you!|Hello there! This is my first visit to your blog! We are a group of volunteers and starting a new initiative in a community in the same niche. Your blog provided us useful information to work on. You have done a extraordinary job!|Hey! I know this is kind of off topic but I was wondering which blog platform are you using for this website? I'm getting fed up of Wordpress because I've had issues with hackers and I'm looking at options for another platform. I would be great if you could point me in the direction of a good platform.|Hello there! This post could not be written any better! Reading through this post reminds me of my previous room mate! He always kept talking about this. I will forward this article to him. Fairly certain he will have a good read. Many thanks for sharing!|Write more, thats all I have to say. Literally, it seems as though you relied on the video to make your point. You definitely know what youre talking about, why waste your intelligence on just posting videos to your weblog when you could be giving us something enlightening to read?|Today, I went to the beach front with my children. I found a sea shell and gave it to my 4 year old daughter and said "You can hear the ocean if you put this to your ear." She put the shell to her ear and screamed. There was a hermit crab inside and it pinched her ear. She never wants to go back! LoL I know this is entirely off topic but I had to tell someone!|The other day, while I was at work, my cousin stole my iphone and tested to see if it can survive a forty foot drop, just so she can be a youtube sensation. My apple ipad is now broken and she has 83 views. I know this is entirely off topic but I had to share it with someone!|I was curious if you ever considered changing the layout of your website? Its very well written; I love what youve got to say. But maybe you could a little more in the way of content so people could connect with it better. Youve got an awful lot of text for only having one or 2 images. Maybe you could space it out better?|Hello, i read your blog from time to time and i own a similar one and i was just curious if you get a lot of spam feedback? If so how do you protect against it, any plugin or anything you can suggest? I get so much lately it's driving me insane so any assistance is very much appreciated.|This design is steller! You certainly know how to keep a reader entertained. Between your wit and your videos, I was almost moved to start my own blog (well, almost...HaHa!) Great job. I really loved what you had to say, and more than that, how you presented it. Too cool!|I'm truly enjoying the design and layout of your site. It's a very easy on the eyes which makes it much more pleasant for me to come here and visit more often. Did you hire out a designer to create your theme? Outstanding work!|Hello! I could have sworn I've been to this site before but after browsing through some of the post I realized it's new to me. Nonetheless, I'm definitely delighted I found it and I'll be bookmarking and checking back frequently!|Hi there! Would you mind if I share your blog with my facebook group? There's a lot of folks that I think would really appreciate your content. Please let me know. Thank you|Hey there, I think your website might be having browser compatibility issues. When I look at your blog site in Firefox, it looks fine but when opening in Internet Explorer, it has some overlapping. I just wanted to give you a quick heads up! Other then that, very good blog!|Wonderful blog! I found it while surfing around on Yahoo News. Do you have any tips on how to get listed in Yahoo News? I've been trying for a while but I never seem to get there! Appreciate it|Howdy! This is kind of off topic but I need some advice from an established blog. Is it tough to set up your own blog? I'm not very techincal but I can figure things out pretty quick. I'm thinking about setting up my own but I'm not sure where to begin. Do you have any ideas or suggestions? Many thanks|Hello! Quick question that's entirely off topic. Do you know how to make your site mobile friendly? My web site looks weird when viewing from my iphone. I'm trying to find a theme or plugin that might be able to correct this issue. If you have any recommendations, please share. Many thanks!|I’m not that much of a online reader to be honest but your blogs really nice, keep it up! I'll go ahead and bookmark your website to come back down the road. All the best|I love your blog.. very nice colors & theme. Did you create this website yourself or did you hire someone to do it for you? Plz reply as I'm looking to construct my own blog and would like to know where u got this from. thanks a lot|Amazing! This blog looks just like my old one! It's on a entirely different topic but it has pretty much the same page layout and design. Great choice of colors!|Hey just wanted to give you a brief heads up and let you know a few of the images aren't loading properly. I'm not sure why but I think its a linking issue. I've tried it in two different web browsers and both show the same results.|Hey are using Wordpress for your site platform? I'm new to the blog world but I'm trying to get started and create my own. Do you require any html coding knowledge to make your own blog? Any help would be really appreciated!|Hello this is kind of of off topic but I was wanting to know if blogs use WYSIWYG editors or if you have to manually code with HTML. I'm starting a blog soon but have no coding know-how so I wanted to get guidance from someone with experience. Any help would be enormously appreciated!|Hey there! I just wanted to ask if you ever have any problems with hackers? My last blog (wordpress) was hacked and I ended up losing several weeks of hard work due to no backup. Do you have any methods to prevent hackers?|Hey! Do you use Twitter? I'd like to follow you if that would be okay. I'm undoubtedly enjoying your blog and look forward to new updates.|Hi! Do you know if they make any plugins to protect against hackers? I'm kinda paranoid about losing everything I've worked hard on. Any suggestions?|Good day! Do you know if they make any plugins to help with SEO? I'm trying to get my blog to rank for some targeted keywords but I'm not seeing very good results. If you know of any please share. Thank you!|I know this if off topic but I'm looking into starting my own blog and was curious what all is required to get setup? I'm assuming having a blog like yours would cost a pretty penny? I'm not very web savvy so I'm not 100% sure. Any recommendations or advice would be greatly appreciated. Kudos|Hmm is anyone else encountering problems with the images on this blog loading? I'm trying to find out if its a problem on my end or if it's the blog. Any responses would be greatly appreciated.|I'm not sure exactly why but this website is loading very slow for me. Is anyone else having this problem or is it a issue on my end? I'll check back later on and see if the problem still exists.|Hi there! I'm at work surfing around your blog from my new apple iphone! Just wanted to say I love reading your blog and look forward to all your posts! Carry on the great work!|Wow that was strange. I just wrote an really long comment but after I clicked submit my comment didn't show up. Grrrr... well I'm not writing all that over again. Regardless, just wanted to say great blog!|Hi there superb website! Does running a blog like this require a great deal of work? I have very little understanding of coding however I had been hoping to start my own blog soon. Anyway, if you have any ideas or tips for new blog owners please share. I understand this is off subject but I just needed to ask. Many thanks!|Hi there! I realize this is kind of off-topic however I needed to ask. Does building a well-established website such as yours require a large amount of work? I'm brand new to blogging but I do write in my diary everyday. I'd like to start a blog so I will be able to share my personal experience and thoughts online. Please let me know if you have any recommendations or tips for brand new aspiring blog owners. Appreciate it!|Hey I know this is off topic but I was wondering if you knew of any widgets I could add to my blog that automatically tweet my newest twitter updates. I've been looking for a plug-in like this for quite some time and was hoping maybe you would have some experience with something like this. Please let me know if you run into anything. I truly enjoy reading your blog and I look forward to your new updates.|I don't know if it's just me or if perhaps everybody else experiencing problems with your website. It looks like some of the text on your content are running off the screen. Can someone else please provide feedback and let me know if this is happening to them as well? This might be a issue with my web browser because I've had this happen previously. Thank you|First of all I would like to say excellent blog! I had a quick question in which I'd like to ask if you do not mind. I was curious to know how you center yourself and clear your thoughts before writing. I've had difficulty clearing my mind in getting my thoughts out there. I truly do enjoy writing however it just seems like the first 10 to 15 minutes are usually lost just trying to figure out how to begin. Any recommendations or hints? Many thanks! I actually still can not quite think I could end up being one of those reading the important ideas found on your site. My family and I are truly thankful on your generosity and for offering me the opportunity to pursue my own chosen career path. Many thanks for the important information I managed to get from your site. Thanks for the reviews. I will not be purchasing this either. I've got the Magic Bullet. Dissapointed with the quality as the unit smells as if it's on fire after prolonged use. I fell into the advertising hype once, but won't twice. I've a Benjamin in my relatives line. I'd like to know if there exists a connection. Please connect. I live in Tennesse, if I can help you, let me know. Several of the Powell's lived in georgia.